*1. 850,824　*,850,824　Nogizaka46 "Itsuka Dekiru kara Kyou Dekiru"
*3. *15,092　*,*15,092　Hiroshi Kamiya "Kamisama Connection"
11. **3,841　*,**3,841　JUJU "Iiwake"
16. **3,131　*,**3,131　Rie Murakawa "Night terror"
21. 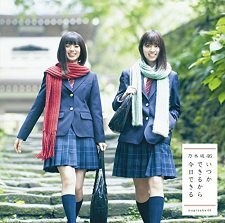 **2,452　1,026,394　Nogizaka46 "Nigemizu"
25. **1,950　*,**1,950　BRADIO "LA PA PARADISE"
29. **1,582　*,*57,919　Kobukuro "Kokoro"
32. **1,386　1,114,468　AKB48 "#Sukinanda"
35. **1,227　*,*21,907　EXILE TAKAHIRO "Eternal Love"
41. ***,904　*,*69,460　Masaharu Fukuhara "Seiiki"
42. ***,899　*,331,551　SKE48 "Igai ni Mango"
44. ***,879　*,*14,814　Tatsurou Yamashita "REBORN"
46. ***,817　*,229,095　Gen Hoshino "Family Song"
58. ***,623　*,**3,004　An Cafe "Ikenai Mousou x Abunai Chinjuu"
70. ***,508　*,*29,202　Kenji Ozawa and SEKAI NO OWARI "Fukurou no Koe ga Kikoeru"
91. ***,419　*,*26,523　Miyuki Nakajima "Bojou"
94. ***,402　*,*79,257　Namie Amuro "Hero"
*5. 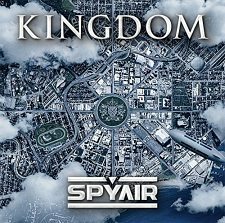 *20,166　*,*20,166　SPYAIR "KINGDOM"
*7. *11,877　*,*11,877　Shouta Aoi "Ø"
19. **3,616　*,**3,616　96neko "O2O"
23. **2,855　*,**2,855　Miku Itou "Suisai ~aquaveil~"
30. **1,935　*,*13,102　fripSide "crossroads"
33. **1,707　*,**1,707　Megumi Ogata "AniMegu. 25th"
39. **1,501　*,160,624　V6 "The ONES"
49. ***,986　*,**9,861　KANA-BOON "NAMiDA"
54. ***,815　*,*11,113　Taro Hakase "VIOLINISM Ⅲ"
60. ***,777　*,*16,480　SawanoHiroyuki［nZk］ "2V-ALK"
62. ***,771　*,344,077　ONE OK ROCK "Ambitions"
70. ***,666　*,332,979　Yuzu "Yuzu Iroha 1997-2017"
79. ***,579　*,127,456　Kenshi Yonezu "YANKEE"
98. ***,472　*,408,806　Nogizaka46 "Umarete kara Hajimete Mita Yume"
*8. *10,736　*,*10,736　coldrain "FATELESS"
Nice to see these up there though I've not heard much from SPYAIR recently, never did get around to their last album, still on my shelf. Looks like I'll have to buy coldrains new album from CD Japan as there's no physical release in the west this time. A shame and means it's more expensive. Loving their OP for Kings Game though, if the rest is anything like that they're onto another winner. Though I still prefer Sakiwafuhana this is also great OP too. Especially if I examine the lyric closely the depth didn't fall behind to Sakiwafuhana.